Why do administrative assistants cover such a broad range of tasks in an office setting? The quick answer is because they must. Assisting multiple people in the office requires the ability to multitask and be proficient in a number of clerical areas. On a day-to-day basis, administrative assistants are responsible for any number of tasks, which is why their job descriptions are often broad and lengthy. From the front desk to the back office and everything in between, administrative assistants are expected to help out anywhere they’re needed. 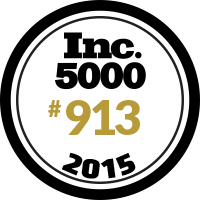 Wanda Smith, CEO Founder of Symphony Placements, a flexible staffing firm in Maryland, is honored to be named for two consecutive years on the #Inc5000 List of Fastest Growing Companies in America Rank #913 2015 and Rank #1958 2014. Wanda believes the company’s growth is attributed to partnering with niche clients in call centers and healthcare industries, as well as a cohesive savvy recruiting team lead by her VP Marta Chavatel. Wanda continues to affirm #FlexibleStaffing is the new vehicle for human resources, working place hiring and creating solutions for the challenges of personnel staffing in America – Wanda Smith and Team are honored with this recognition….Read more here! Hospitals are run like a business–they require trained and competent workers to handle specific activities. However, hospitals are unique in that when they need competent employees, they often need them much more urgently. Unfortunately, while the level of education that is required of many medical professionals is quite high, the number of certified medical professionals that are unemployed is also quite high. 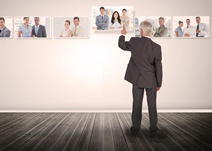 Hospitals often turn to staffing agencies to fill open positions quickly with qualified workers.